"We will spend more than half a trillion Saudi Riyals on drilling activities over the next decade, in compliance with the goals and objectives of the ambitious Saudi Vision 2030," Mohammed Al-Qahtani, Aramcoís senior vice president for upstream, said in a statement. Meanwhile, Saudi Aramco has awarded China Harbour Engineering a contract to build two man-made islands to support drilling in the Berri offshore oilfield located off the east coast. The state-owned oil giant’s two islands, called Site A and Site B, will span 1.6ha and 26ha, respectively. Both are expected to be completed in 2020. The construction award was handed out under Aramco’s Berri Increment Programme, which aims to produce an additional 250,000 barrels of crude oil per day. By doubling crude oil production at the Berri oilfield to half a million barrels per day, Aramco hopes to maintain its maximum capacity by 2023. Site A and Site B will be built near shore at the northern and southern sides of the King Fahad Industrial Port causeway in Jubail, the largest industrial city in the world and home to the region’s biggest petrochemical producer. The programme includes installation of a gas oil separation plant in Abu Ali Island, as well as construction of gas processing facilities at the Khursaniyah Gas Plant (KGP) to process 40,000 barrels per day of hydrocarbon condensate. Pipelines, water injection facilities, onshore drilling sites, drilling islands, and offshore facilities are also included. Saudi Aramco’s vice president of project management, Fahad Al-Helal and China Harbour Engineering Arabia’s general manager, Wu Yuansheng, signed the two-year contract. Saudi Aramco has also prequalified six contractors for phase 7 of the redevelopment of Safaniya oilfield in the Arabian Gulf of Saudi Arabia. Saudi Arabian Saipem, National Petroleum Construction Company, Norway’s Subsea 7, L&T Hydrocarbon Engineering, McDermott and Dynamic Industries Saudi Arabia were shortlisted for the project, which has a price tag between $700 million and $800 million. This is one of many projects by Saudi Aramco to expand aging oilfields; Safaniya has been in production since 1957. 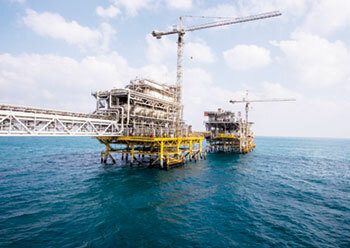 The expansion and redevelopment aim to raise sustainable oil output while adding gas-processing capacity. Safaniya oilfield is estimated to hold 37 billion barrels of crude and has a production capacity of between 1 million and 1.5 million barrels of heavy crude oil per day. The main contractor award is expected to be given in October 2018, with completion of the project expected in October 2020. Meanwhile, Malaysia’s Rapid (Refinery and Petrochemical Integrated Development) project, a joint venture between reputed oil and gas giants, Saudi Aramco and Petronas, is reportedly seeking commitments from banks.